No tools required for replacements. Replacement filter is one of the easiest to do. 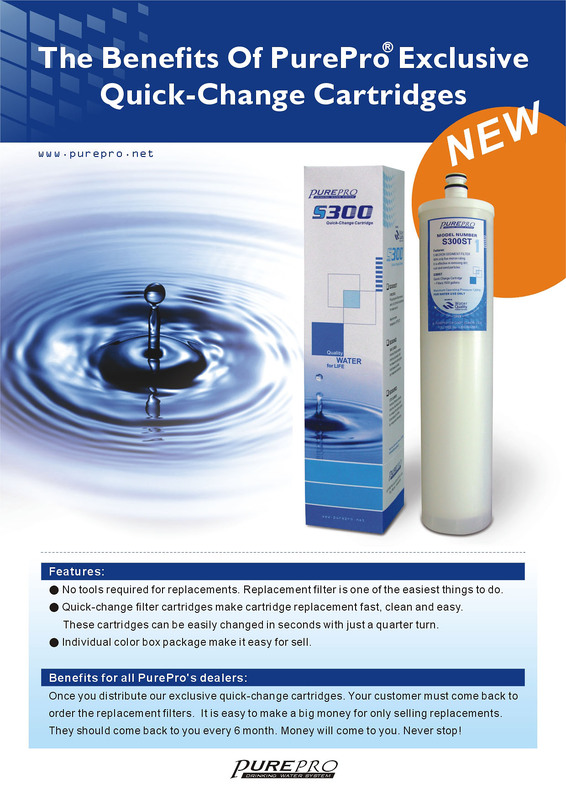 Quick-change filter cartridges make cartridge replacement fast, clean and easy. These cartridges can be easily changed in seconds with just a quarter turn.